Eastdale Mall’s Family Fun Night program is back this Saturday, July 30, from 5 – 7 p.m. This Saturday’s event will feature a special presentation by the Montgomery Zoo. The Eastdale Mall Family Fun Night program is held on Saturday nights in the summer from 5 – 7 p.m. Each week free activities and entertainment for families are featured in Centre Court. Families can also enjoy special discounts (see this post for an example of some of the discounts that have been previously offered) on Saturday evenings, including free ice skating for children 10 and under at the Eastdale Mall Ice Palace. Also taking place this Saturday at 1 p.m. will be the Eastdale Mall Teen Team’s Back to School Fashion Show. The annual show features the latest fashion trends just in time for the new school year. The Eastdale Mall Teen Team will perform entertaining dance routines as they model the hottest looks for this season provided by Eastdale Mall retailers. In addition to the Teen Team, local children also perform in the show. For more information about the Eastdale Mall Teen Team’s Back to School Fashion Show or Eastdale Mall’s Family Fun Night program, please call 334-277-7380 or visit www.shopmalls.com. It's about time for Fall Consignment Sales! 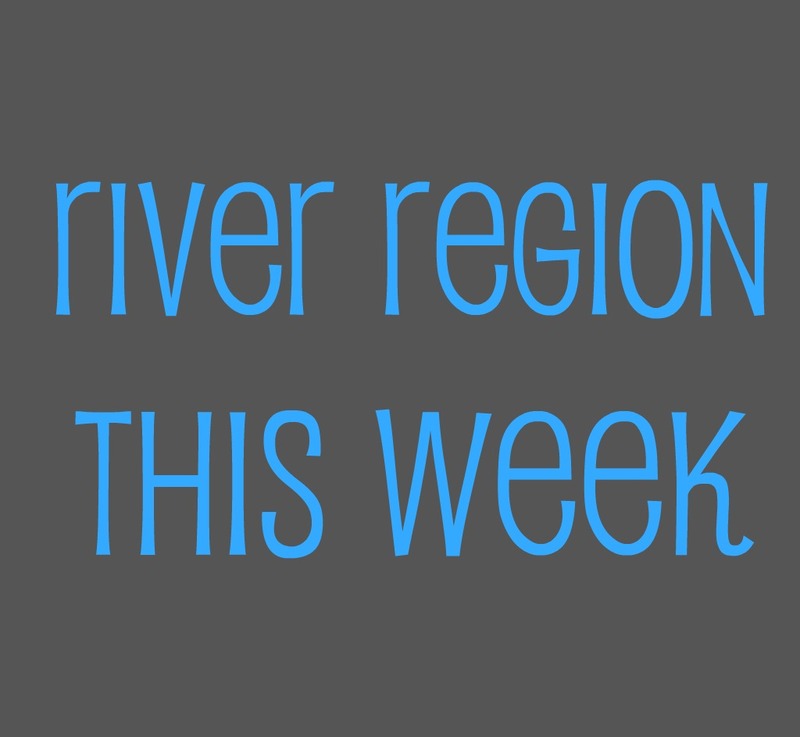 Following is a list of consignment sales in the River Region. Registration for consignors has already begun for many of the sales. Check the individual websites for more info on consigning. Mark your calendars! Receiving begins 8/27. See the website for specific dates and times. Receiving begins 9/5. See website for specific dates and times. New moms: If your first child is 18 months or younger or you are pregnant with your first child, you qualify to shop early on Sept. 10 from 8 am-9 am. You must register. Receiving dates 8/19-8/20. See website for specific times. Receiving begins 9/17. See the website for specific dates and times. Could summer be winding down? A lot of the summer activities are ending and everyone will be getting ready for school to start soon. This is the last week for the Capri Summer Children's Matinee. On Thursday and Friday at 10am and 1 pm, you can see Rugrats Movie for only $1 per person! 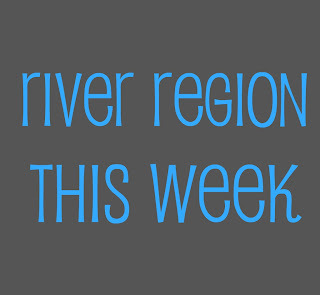 See the River Region calendar for library story times this week. Don't forget the Faith Rescue Mission Back to School Sale Starts today! Kid's clothes for 75 cents! Michael’s Passport to Fun continues this week with crafts on Tuesday (China- Sand Art & Tangram Craft FREE) and Thursday (South Africa- Friendship Bracelet & Animal Pin Craft FREE) from 11 am to 2pm. I think I will go ahead and register for that one! Today is Thursday which means Kids Eat Free at Earth Fare from 4-8 pm. Before you go, be sure to print out all the great coupons to take with you! It's Quimby's birthday! Log in to your Earth Fare Welcome Home account to print a coupon for FREE Castor & Pollus Dog Bone with $5 purchase! The coupon expires 7/24/11. The $5 off $20 purchase coupon is still good until 7/24/11! You can also still get the Boot Challenge coupon to swap Centrum for a FREE bottle of Earth Fare Vitamins. I am trying something new this week. 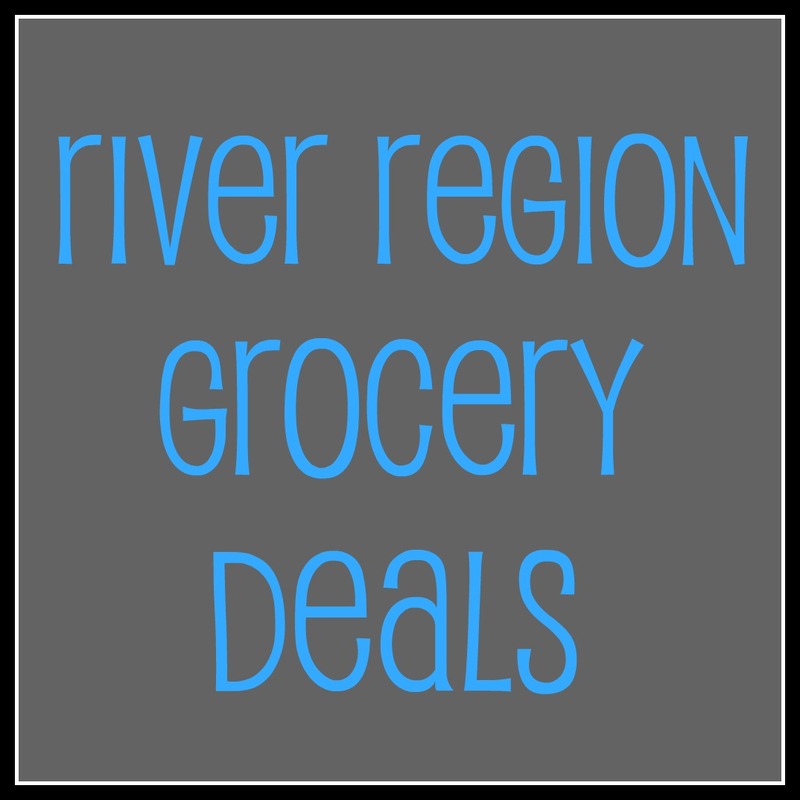 Instead of typing out a different list for each of the local grocery stores, I am making one list that has all the best local grocery store prices. 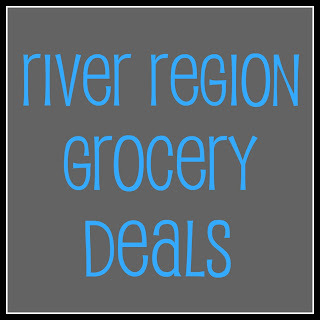 Use this to compare to the Publix and Winn Dixie ads and see where to go to buy the cheapest groceries in the River Region. I like this better because I can quickly compare the items that I most need and see who has the lowest prices. Let me know in the comments what you think. I might start adding in the best prices at Publix and Winn Dixie for comparison. Oaktree Ad Oaktree takes manufacturer's internet coupons and doubles up to 50 cents everyday. McGehee Rd Super Foods-Seedless Watermelon $3.98 ea. McGehee Rd Super Foods-Iceberg Lettuce $0.98 ea. Thank you Earth Fare for another $5 off $20 purchase coupon! This coupon is only at the Montgomery and Auburn Earth Fare locations. Go here to print your coupon! If you haven't already, sign up here to have the coupons emailed to you! I love our bread store. Mainly because it's an Arnold's Bakery Store and Arnold makes some really good (healthy) bread. I haven't been in the bread store in a while and was pleasantly surprised to find these smoking hot bargains today when we stopped in. Hamburger and Hot Dogs buns 4 for $1! (Hello, freeze them for Labor Day cookouts!) They had lots of these, which is probably why they were so cheap. If you want them, I wouldn't wait too long to go get them, though. Bimbo (Say it "Beembo") wheat and white bread-4 loaves for $1.98! I don't generally buy this brand but I can't pass up the price. We had sandwiches on it today and it's pretty good. Usually I can find the Arnold's wheat buns there for $0.99 a package, too. But didn't see any today. #1: It's random what you might find. I prefer a certain kind of bread but I am flexible so when I go and don't find the certain kind, I can get what ever happens to be there. You may or may not find any of these brands there. I can usually find some variety of Thomas english muffins there, too. #2: The prices are cheaper, the more you buy. The buns that I found today were 4 for $1 but if you buy just one, they will cost $0.50 each. Most of the bread in the store is priced that way, so pay attention. One more thing: They don't take credit cards. Checks or cash only. Arnold's Bakery Store is located just off the Bypass near Wares Ferry Rd. It's in a little shopping center and it's easy to miss, so let me know if you need better directions. Every night this week has been VBS at our church. It has been a lot of fun, but being out later every night has finally caught up with us. I am so very sleepy today. The weather isn't helping, either. Tonight is the last night. I think I might sleep late in the morning. Do you think the kids will? If you said "Yes," then you don't know my kids. I am crossing my fingers for good weather Saturday night, because I would really like to take the kids to the Performance on the Green. We have never been and I think it would be fun to take a picnic dinner. 5-7 pm Eastdale Mall Family Fun Night with art project by The Montgomery Museum Of Fine Arts and FREE Ice Skating for kids 10 and under.